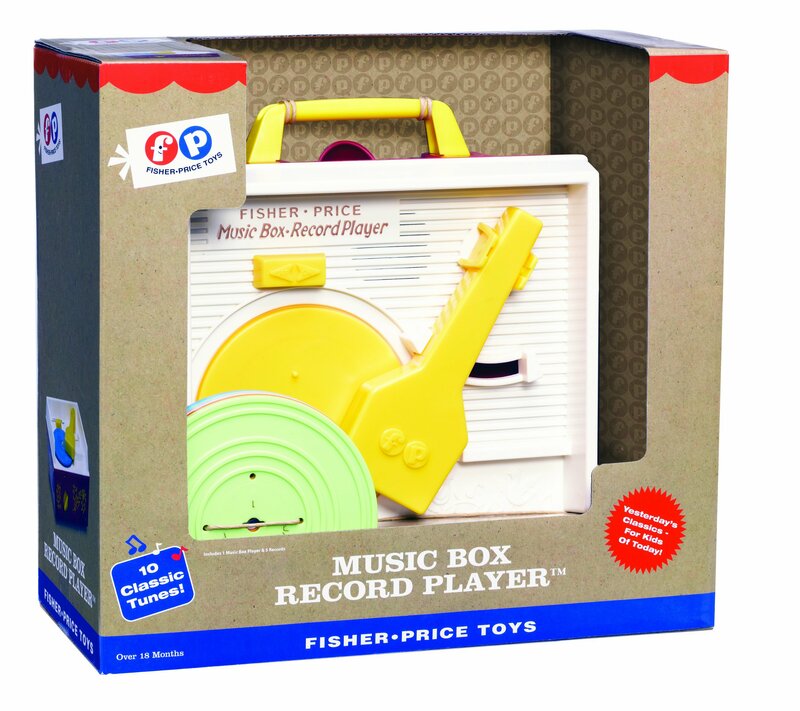 The Fisher Price Change-A-Record Music Box, more commonlyknown as the Fisher Price Record Player, is a favorite among those who playedwith it as a child. Originally introduced in 1971, this endearing classic isnow available again. Complete with "playable" records that store convenientlyinside the record player and a carrying handle for tunes on the go Features 10songs on 5 records. Ages 18 months and up. From the Manufacturer The FisherPrice Change-A-Record Music Box, more commonly known as the Fisher PriceRecord Player, is a favorite among those who played with it as a child.Originally introduced in 1971, this endearing classic is now available again.Complete with "playable" records that store conveniently inside the recordplayer and a carrying handle for tunes on the go Features 10 songs on 5records. Ages 18 months and up.